I took a fair few photos of this using different light sources – the sun, living room chandelier, dining room chandelier, lava lamp (didn’t work) wall lights, lamps. All using a star burst filter. Then I remembered the effect of the lighthouse when put on a ten second timer. I decided to go with that one. 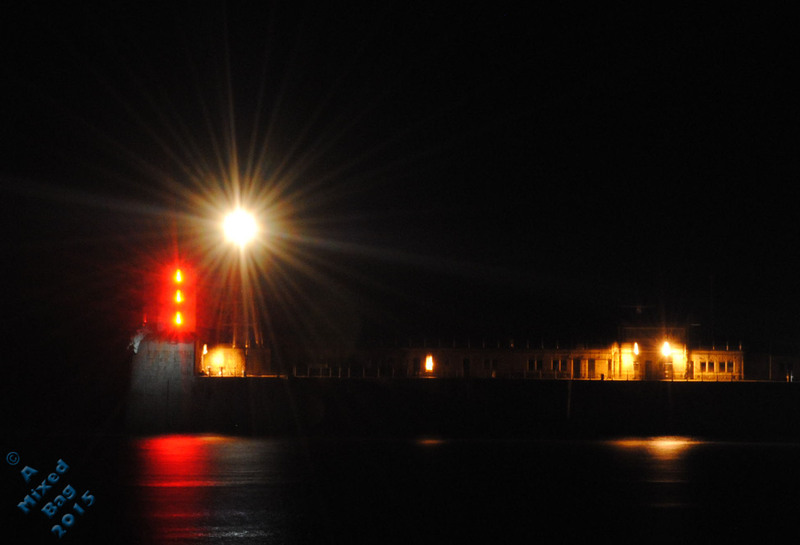 This entry was posted in Photography and tagged August, Daily Photo Challenge, Lighthouse, Night, Night Photography, Nikon, Nikon D3000, Photos. Bookmark the permalink. I always love your pictures of lights & the dark. I love this. Such a gorgeous and velvety tone.